The Medical Legal Partnership, a team of nine law students organized and led by Megan Mitchell ’19 through the Vanderbilt Legal Aid Society, is using a tool developed by the Tennessee Alliance for Legal Services to help patients at the Shade Tree Clinic access free legal services. The Shade Tree Clinic, which is staffed and run by students at Vanderbilt Medical School, provides free health screenings and other health care services to indigent patients on Saturdays throughout the academic year. Members of the Medical Legal Partnership are using the Legal Wellness Checkup, a questionnaire designed to assess legal services needs, to guide their interviews with clinic patients. In addition to Mitchell, the Medical Legal Partnership team includes Charlotte Gill ’20, Jin Yoshikawa 20, Emily Sachs ’20, Alice Haston ’20, Jordyn McCarley ’19, Hayley Myers ’19, Amber Banks ’20 and Lucas Paez ’20. All team members took the Pro Bono Pledge, through which students commit to 75 hours or more of pro bono legal work and community service during their three years at Vanderbilt Law School. The team is piloting the Legal Wellness Checkup, a new technology platform created by the Tennessee Alliance for Legal Services to identify unmet needs for legal services among indigent patients whose health problems may be related to issues, such as homelessness or inability to access or afford medical treatment, that require civil legal assistance. 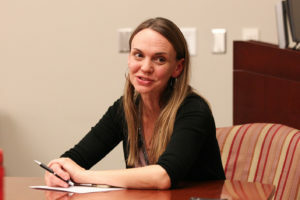 Team members provided feedback to Kirsten Jacobson, a staff attorney and Equal Justice Works Fellow at the Tennessee Alliance for Legal Services, who developed the Legal Wellness Checkup and is exploring other technology platforms to identify and help meet needs for legal services. 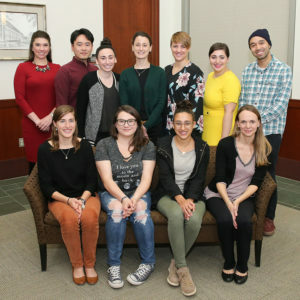 Team photo (left to right): Kirsten Jacobson of the Tennessee Alliance for Legal Services, Charlotte Gill ’20, Jin Yoshikawa ’20, Emily Sachs ’20, Megan Mitchell ’19, Alice Haston ’20, Jordyn McCarley ’19, Hayley Myers ’19, Amber Banks ’20, Associate Dean for Public Interest Spring Miller and Lucas Paez ’20.